Tony’s professional career began in 1997, when he took his first job in the racing industry at Frey Racing, a leading race shop in the San Francisco Bay Area. 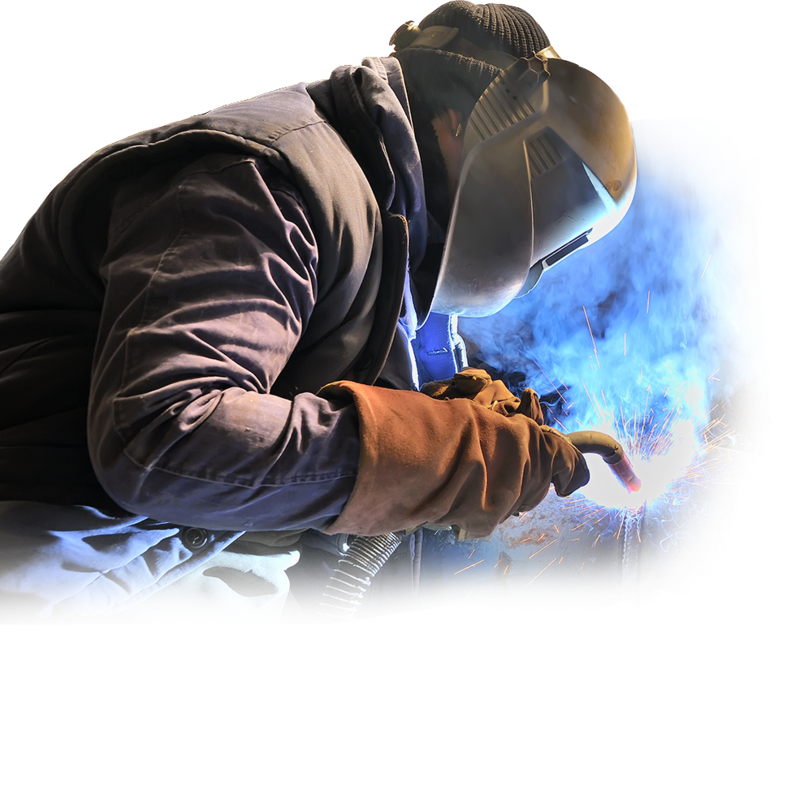 Extremely focused on building his abilities, Tony quickly gained advanced skills in welding, fabrication, dyno tuning, and suspension design & setup. His passion and drive to win eventually led to running a four car SCCA E-Production team at Frey Racing. That team won the SCCA Pacific Region Championship several years in a row and competed at the SCCA Runoffs in 2000 and 2001. 1997 was also the start of Tony’s racing career. A graduate of the Russell Racing School at Sears Point, Tony competed in the Russell Racing Graduate Runoffs, placing 3RD and winning four free race weekends in 2000. Continuing to race in the Russell series, Tony also began testing with pro racing teams in a wide variety of car types, from Indy Lights to GT-class Porsches. A successful test in a 996 GT3R caught the eye of Racer’s Group principal Kevin Buckler and a deal was quickly assembled to put Tony in a car at the Laguna Seca round of the 2001 ALMS series. Tony took home 8th place in only his eighth car race to date. Unfortunately, the events of September 11th and its effect on racing sponsorship subsequently conspired to send Tony in another direction to fulfill his competitive instincts. In 2005, years after joining Tony in building a VW Rabbit GTI for NASA’s then-new GTI Cup series, brother Joe Colicchio brought his newly-minted CSEE degree to TCD. TC Design’s reputation for excellence expanded to include the key elements of electrical and data acquisition systems, adding more competitive advantages to TCD’s racing customers. 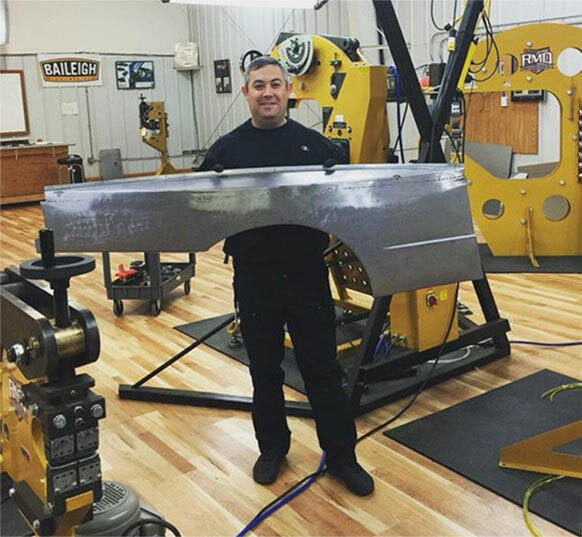 In 2013, after relocating to Campbell and over a decade of building the fastest, safest, most reliable race cars in Northern California, Tony and Joe set their sights on the national stage. It was time to show the entire USA what a winning TCD car looked like. They focused their efforts on NASA’s GTS3 class, one of the most popular classes for BMW and Porsche club racing in North America. 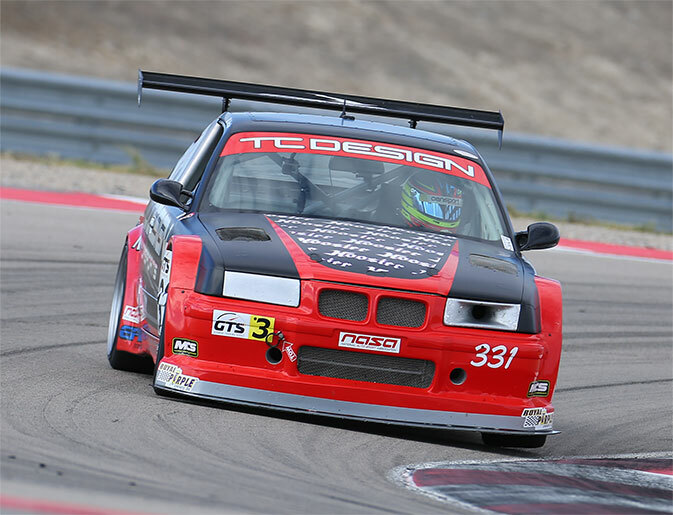 After an intensive development process, Tony won all races entered that year, with zero DNF’s, in TCD’s GTS3 BMW, “Dreamkiller.” At the 2013 NASA Nationals at Miller Motorsport Park, Tony out qualified the entire GTS3 field by almost 2 seconds. In the final race, Tony started 11th in the GTS run group with the faster GTS4 and GTS5 cars ahead of him. On a track damp from morning rains, Tony took the green flag on Hoosier dry tires and by turn 5 Tony had the overall race lead and kept that lead for 4 laps until it started drying out. Eventually Tony finished 4th overall and 1st in GTS 3 by over 45 seconds. 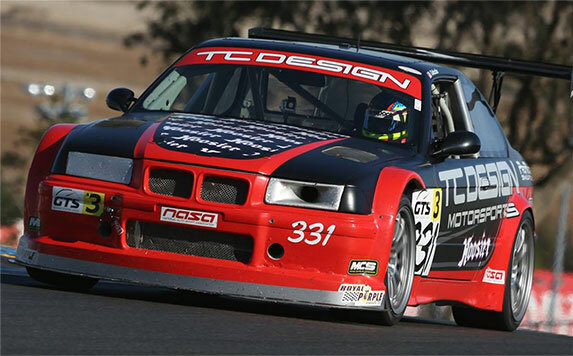 This dominating performance solidified TC Design’s status as the place to go for BMW race cars on the West Coast.